We have been manufacturing quality flying toys since 1926. 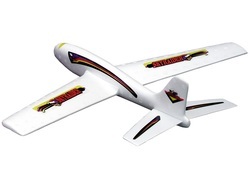 Our toys are built light to fly well and provide many hours of outdoor fun! Guillow products are enjoyed by children all over the world. 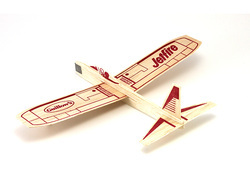 Balsa wood toy gliders and rubber band powered motorplanes. 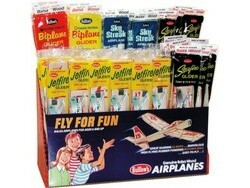 Foam toy airplanes, from small light & safe indoor flyers to 1.25m wingpan. We have many size and glider variety displays. Perfect for store impulse areas. No batteries needed for our toy helicopters, just wind the rubber band motor and get great flights over 22m high! The Design Studio kit contains over 35 toy airplane parts (wings, propellers, etc) allowing you to build 8 planes at one time. 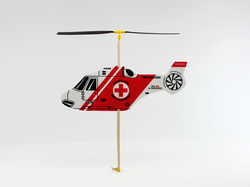 This kit lets the builder be creative and make their own unique flying toys over and over again.